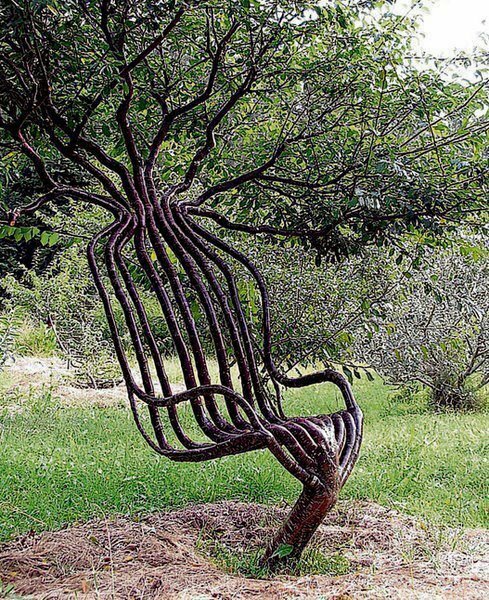 The process of shaping trees is called Pooktre. 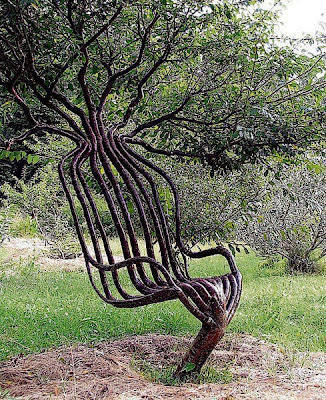 Peter Cook and Becky Northey perfected a gradual shaping method, which is the shaping of trees as they grow along predetermined designs. With an understanding of tree lore, trees like these are easy to grow and it's a very satisfying pastime.